Sorry, this item is sold out. Have IrenDesigns make something just for you, or try these other items. 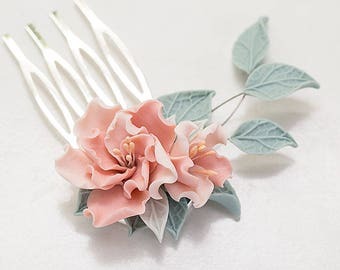 Wedding Golden And Pale Pink Hair Comb. 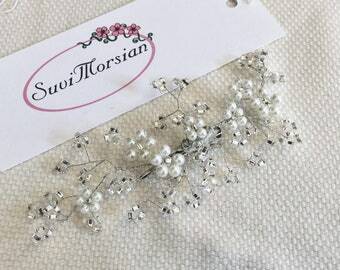 Bridal Jewellery. 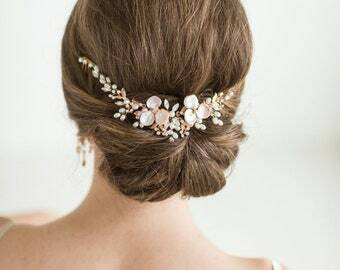 Romantic Wedding Headpieces. 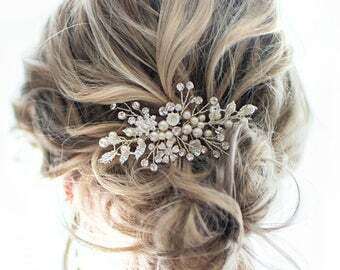 Wedding beaded hair comb hair accessory, Boho style with pearls, crystals and leaves by lottiedadesigns "Zara"